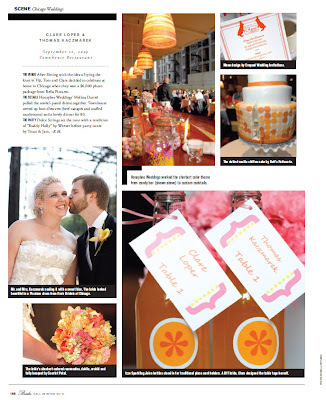 We are very excited to have a wedding featured in the current issue of CS Brides. If you want to read it online, click here. Otherwise, you can head to the newsstands to read all about their day. Clare + Tom's wedding was fabulous... and we will be featuring it on our blog!